With over 300 PowerPoint Slides and 110 pages of detailed step-by-step laboratory exercises, this comprehensive, hands-on, laboratory based analog power supply design workshop provides an in-depth look at the design of modern, stable and robust switch mode power supplies. Covering general principles of stable power supply design from DC/DC and PoL to bias supplies and isolated off-lines, this workshop is aimed at design engineers who need to design and/or troubleshoot modern high performance power supplies. The workshop begins from first principles and looks at the fundamentals of switching power supply design covering Bode plots and control theory. 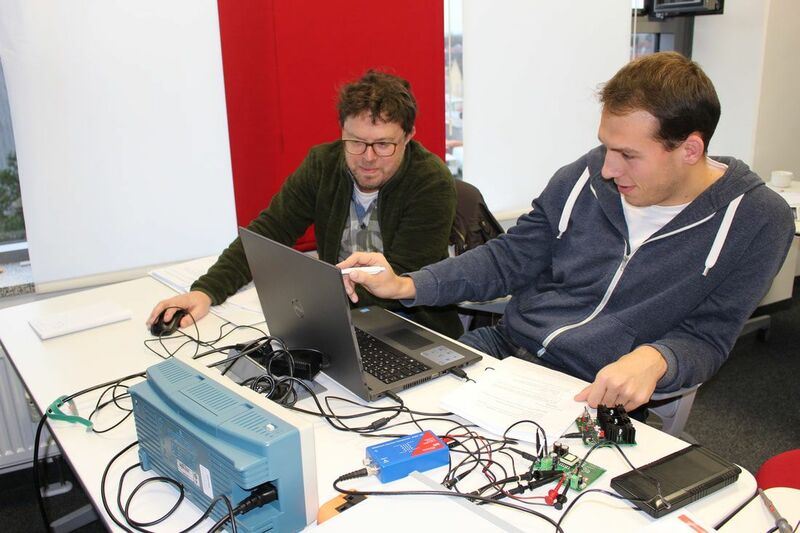 All theory is supported with numerous hands-on labs and all attendees should leave the workshop feeling conformable with stable compensator design for both voltage mode control and current mode control. There is also detailed study of robust "isolated" and bias power supply design using industry standard optocouplers and programmable references such as TL-431. ​The class runs from 9:00am - 5:00pm on Days 1 and 3. The class runs from 9:00am - 4:00pm on Day 4 to allow for easy travel. * 6 months trial license. You must have unrestricted access to internet. These software are not necessary for understanding the material in the class and available on request. The class runs from 9:00am - 5:00pm on Days 1 and 3. Full address and directions will be emailed to you after registration. The audience must have a degree in electrical/electronic engineering, computer science or equivalent. These workshops are highly technical, intended for professional engineers and are not suitable for the general public without relevant qualifications. Classes are subject to cancellation if the minimum number of attendees is not met ten days prior to the date of the workshop and full refund will be given: Minimum = 5; Maximum = 20. In the event of short notice cancellation by Biricha due to unforeseen circumstances, the liability of Biricha and its partners is limited solely to the refund of the course fees. No refund will be given if you can not make the event but you may delay to another Biricha workshop or transfer your registration to a colleague. In fairness to all attendees, confirmed participants who do not attend the scheduled session are obliged to pay the liable fee. The audience should have a degree in electrical/electronic engineering, computer science or equivalent. Gebrüder Frei GmbH & Co.
Magma Mekatronik Makine San. ve Tic. A.S.
Aselsan Elektronik San. Ve Tic. Inc.
"The best power supply related training/seminar I've ever participated by far !!!" "The workshop touches very important topics in analog power supply design world. I would recommend the workshop to any power supply design engineer or researcher." "Great Hands-on workshop with a good mix of theory and lab sessions. Very valuable for my daily work"
"I would recommend this workshop for every engineers who are involved in SMPS design. It's worth every penny." "Very good seminar! Interactive experience with valuable Hands-on"
"Excellent workshop, very knowledgeable facilitator, good atmosphere, highly recommended"
"Course content and pace were excellent. Room, service and location were very good. Can not think of any improvements. Thank you!" "I enjoyed the course and would recommend it to others. The pace and content were good and it was very well presented. The facilities and environment were also good." "The presenter did a really good job. The facility was very good, especially the coffee was great!​"
"Practical, straightforward as all trainings should be."